We have a new physician that is not credentialed with all of our insurance carriers yet, is there a way to bill his services under another of our physicians as a "supervising" so he can see all patients instead of just the ones that the credentialing has come through for? sadly but not really. You can try incident to billing but it must be for followup only while the supervising physician is onsite. However I was told but have yet to verify that a physician cannot bill incident to another physician. I agree, I don't believe you can incident-to bill for physician services. My suggestion is to have the phyician see patients where the insurance carriers will back date. I believe both Medicare and Medicaid will back date the credentialing to the date that they received the applications, but would double check. Once the credentialing goes through you can then submit all of the outstanding claims. I don't believe you can incident to for physician services. Incident to billing is only for non-physicians. The provider can still see patients for carriers you are not contracted with, but patients will be penalized for not having seen a contracted provider. Consider offering a cash (up front) reduced fee to those patients. You won't have to spend time collecting money from insurance - it's a win-win for patient and doctor and there is nothing illegal about doing it. What you can't do is bill for services under another provider's ID - that would be fraudulent. Â§ 424.520 Effective date of Medicare billing privileges. (a) Surveyed, certified or accredited providers and suppliers. 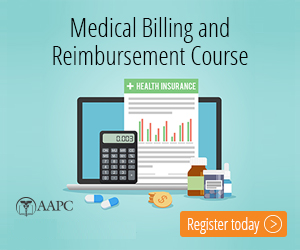 The effective date for billing privileges for providers and suppliers requiring State survey, certification or accreditation is specified in Â§489.13 of this chapter. If a provider or supplier is seeking accreditation from a CMS-approved accreditation organization, the effective date is specified in Â§489.13(d). (b) Independent Diagnostic Testing Facilities. The effective date for billing privileges for IDTFs is specified in Â§410.33(i) of this chapter. (c) DMEPOS suppliers. The effective date for billing privileges for DMEPOS suppliers is specified in Â§424.57(b) of this subpart and section 1834(j)(1)(A) of the Act. 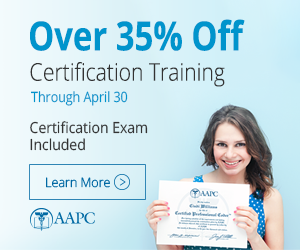 (d) Physicians, nonphysician practitioners, and physician and nonphysician practitioner organizations. The effective date for billing privileges for physicians, nonphysician practitioners, and physician and nonphysician practitioner organizations is the later of the date of filing of a Medicare enrollment application that was subsequently approved by a Medicare contractor or the date an enrolled physician or nonphysician practitioner first began furnishing services at a new practice location. NP not credentialed bill incident to?